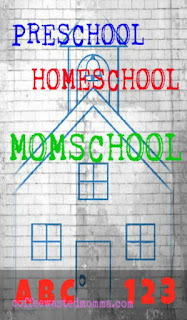 Have you ever thought about Homeschooling? Did you entertain the idea long before your little one was even old enough? I have considered the idea for quite awhile. I have 3 daughters. They are quite spread out in age. 19 years, 14 years and my littlest will be 4 next week! Wow! 4 years old...NEXT WEEK! 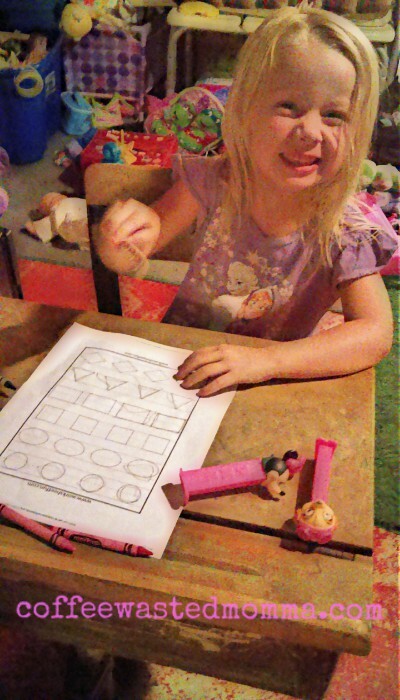 I've been a stay at home momma and have always tried to do the basics, as most parents do. A,B,Cs..1,2,3s, write their name, know the colors and shapes, etc but I always feared they would be behind every other 5/6year old starting out in Kindergarten. Can she count as high as Susie? Does she read as well as Hailey? Sure, I'll get daily or weekly reports from teachers and hopefully will be notified of any concerns throughout but, I'm not there to monitor their every lesson progress. Do we really know what they are being taught??? Or how they average out. I know here in Ohio there are crazy tests and requirements. Dates and data. Black and white score sheets to tell you and your government just how your child is fairing in the oh so wonderful public school systems. I mean everything is based off of these scores. Teachers salaries, grant money, school supplies, etc. Every day, every year this world gets crazier...scarier! I honestly worry about whether my child will be taught based off of how much money and help her school receives! How sad is that? Not that they live under a rock or won't have to live in the "real world" but I would like a good chance to explain and really teach them...My way? I don't know, just maybe give them a fighting chance before we throw them to the wolves! I'm am an admitted control freak so maybe this is a somewhat selfish choice(I know I will hear it anyway). I do plan on educating myself before I jump in with both feet, but while I do still have almost 2 years(before Kindergarten) to figure this out; I am dipping my foot in the puddle to see how we do. I am trying to find, research, save, pin, print and read anything and everything I can to get a good idea of what will be required of me, as a preschool/homeschool teacher! There are so many wonderful resources out there today. This is one of the great uses of the internet! 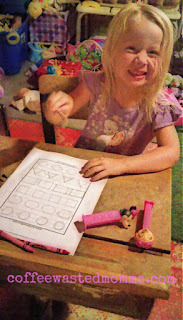 Before, I jump into that, here is my super enthusiastic three year old, ready to learn! And she already has her own desk!! My wonderful Mamaw has given us an antique desk. It is in wonderful condition! I'm talking Laura Ingalls looking(ink well holder included) and it is amazing! She loves it! I am trying to get started with a few free and basic printables and there are TONS on the web! You can find whole lesson plans, themed plans(Christmas, Fall, Animals, etc), even personaliz-able worksheets to practice writing their name. I'm telling you the free resources are endless! Here are a few of my favorites that I have found. 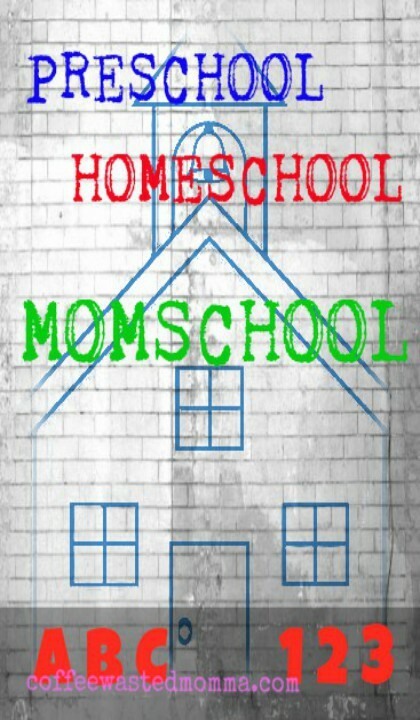 So, here we go on our homeschool journey. I hope we can learn and thrive together. 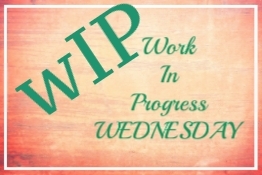 I will likely try to do a weekly update and continue to share any new resources that I find. Share any and all that you know of or come across. Mommas need all the help we can get! I hope we can support and encourage each other! Keep the coffee hot and the minds open!